I’ve been following Monif C. now for a while now, not just because her collections boasts of beautiful creations specifically made with the plus woman in mind, but also because I admire her entrepreneurial spirit. She is a total boss babe and like me she comes from a STEM background. So when I heard she was having another pop-up in DC I knew I had to be there. I actually went with Ola & Viv, after perusing and almost buying a mustard jumpsuit I decided I’d go with something more classic cause what’s not more classic than a Black Pencil Skirt but this one had a twist . 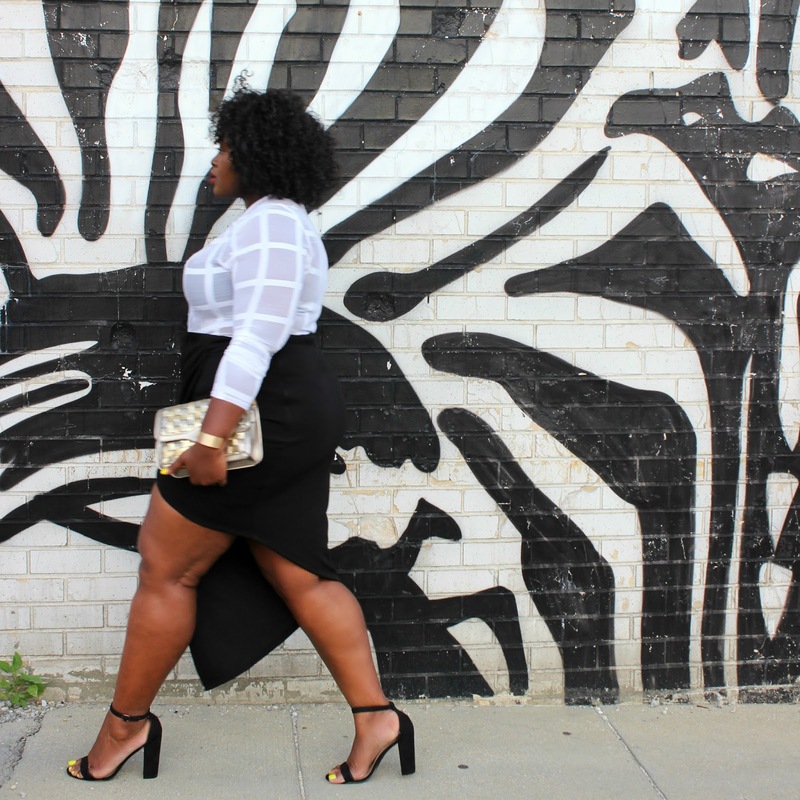 I got the Skirt (SOLD OUT) in a size 1X 14/16 and that was pretty much my size in everything I tried. Although the skirt is a little snug, the next size up was a little too big. I would say her sizing is a true Women’s plus. So size down if you are used to shopping juniors ( Forever21/Asos). 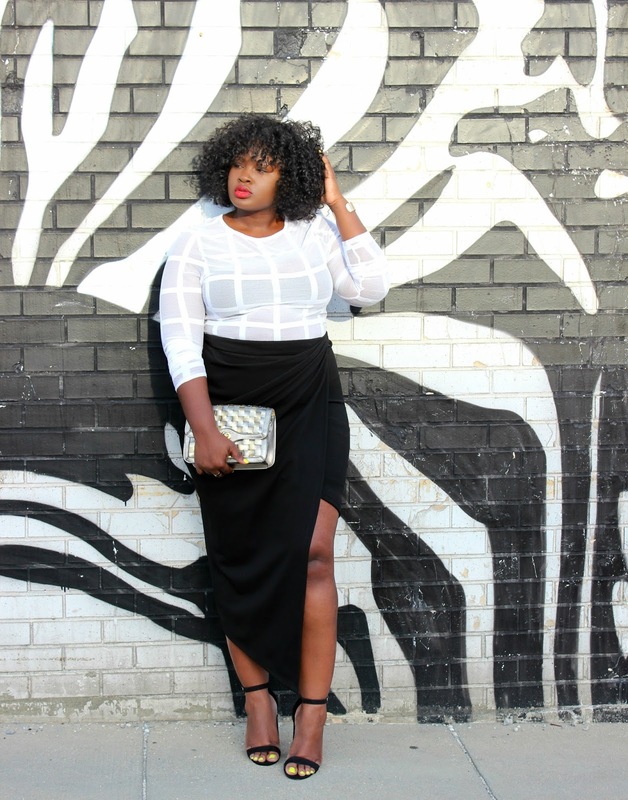 I paired the Skirt with this Mesh white top (cropped) that I picked up from Fashion to Figure and simple sandals. Speaking of Fashion to Figure did you hear the BIG news if you didn’t SCROLL DOWN. I can totally see the skirt in the winter with a Turtleneck and some OTK boots. I dont know about yall but the current heat wave is totally making me crave Fall. When does Fall technically start again? I heard that this summer is the hottest summer on record and it’s definitely feels like it. If you are following me on Snap you saw how hot it was when we were shooting this look! Did You hear? 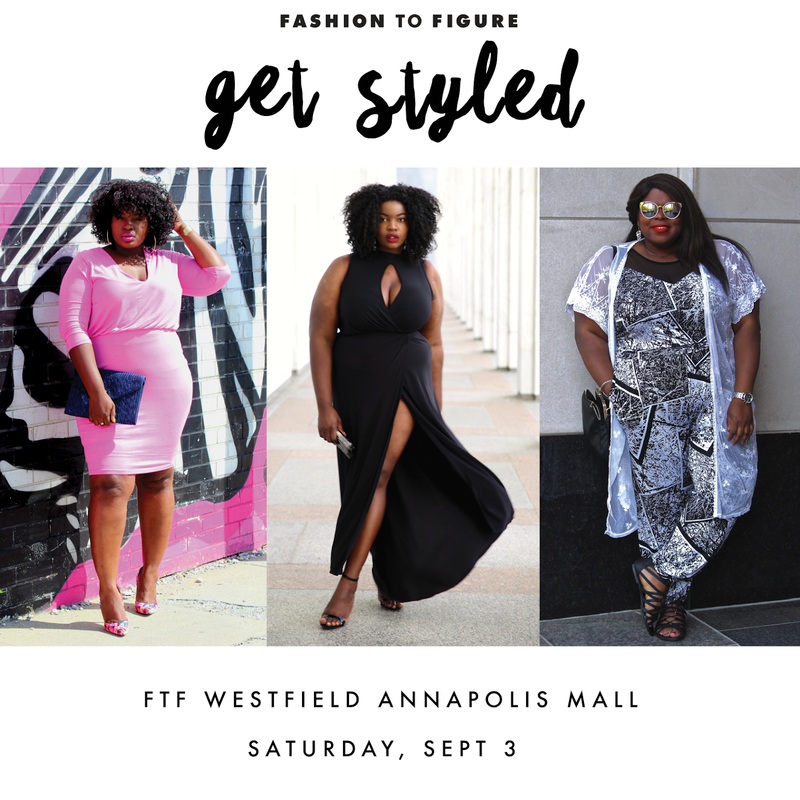 I will be at the Fashion To Figure in Annapolis Mall Maryland this TOMORROW (9/3) come see me #GetStyled enjoy refreshments, walk the runway(no pressure) and win $250 Gift-card. Make sure to say HI I would love to meet You!!! P.s its officially back to school season would you guys be interested in looks for students as well as educators or a fall lookbook on YouTube (Subscribe Here its Free)? Finally dont forget to Enter the 5K Giveaway Here!! Love the look.! I admire Monif C, too, for her fab designs, business savvy and her Caribbean roots. I no idea both you and Monif have STEM background. 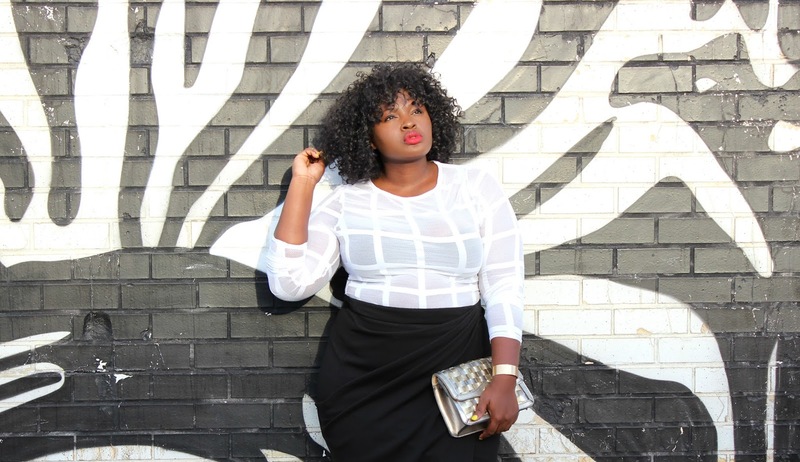 It always surprises me to see so many creative fashion and style blogger and busness women who have STEM backgrounds, like me. Hi ChiChi! Let me just stop to tell you how much you inspire me!!! I resonate so much with your fashion sense and faith. I truly feel empowered by your contributions. Thank you, girl and God bless you and your dreams💛!